The MDconsultants network currently comprises more than 170 medical students, residents, and attending physicians who practice in various specialties across Canada and the United States. Our company is led by 3 physician partners who graduated from the University of Toronto and is supported professionally by a full-time managerial staff. MDconsultants started out in 2009 to provide high quality consulting services to enable aspiring healthcare professionals gain admission into programs of their choice. Since then, we’ve evolved into a predominantly physician network of talented consultants who solve diverse and challenging problems. Our current range of capabilities include admission consulting, healthcare consulting, providing professional second opinions, and delivering healthcare in a variety of settings. 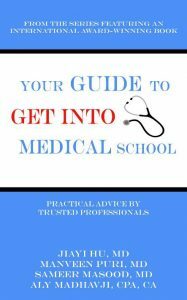 On March 9, 2017, the co-founders of MD Consultants celebrated the hard launch of their free admissions guidebook, ‘Your Guide to Get Into Medical School,’ at the University of Toronto Alumni Speaker Series: Get Into Medical School event, co-hosted by New College, University College, Woodsworth College, and MD Consultants. The panel discussion featured speakers Dr. Manveen Puri (Family Medicine physician), Dr. Sameer Masood (Emergency Medicine resident physician), and Dr. Henry Chen (Family Medicine resident physician), as they led the audience through the topics: academics, research, MCAT preparation, non-traditional applicants, interviews, medical school and beyond. Are you worried about your chances of getting into medical school? Don’t worry, you are not alone. All of us have felt that way before, and have conquered various academic and life challenges to be where we are now. We truly understand what you are going through. As a result, the founding partners at MD Consultants have partnered up with Aly Madhavji, author of the internationally acclaimed book “Your Guide to Succeed in University,” to bring to you a practical guide to get into med school by trusted medical professionals. In this guide, we share detailed stories of how each of us navigated our personal journeys to reach successful outcomes, as well as a broad range of perspectives on what it takes and means to be a physician. 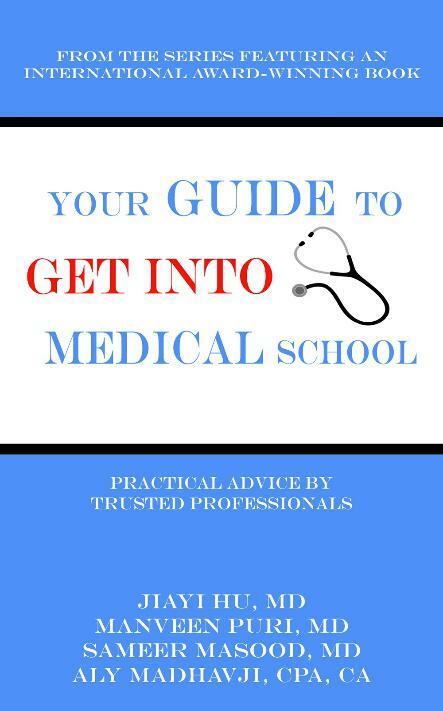 We hope this book will help you in that journey towards medical school acceptance and an exciting career in medicine! To read the book online or download a free PDF copy, visit www.guidetomed.com.